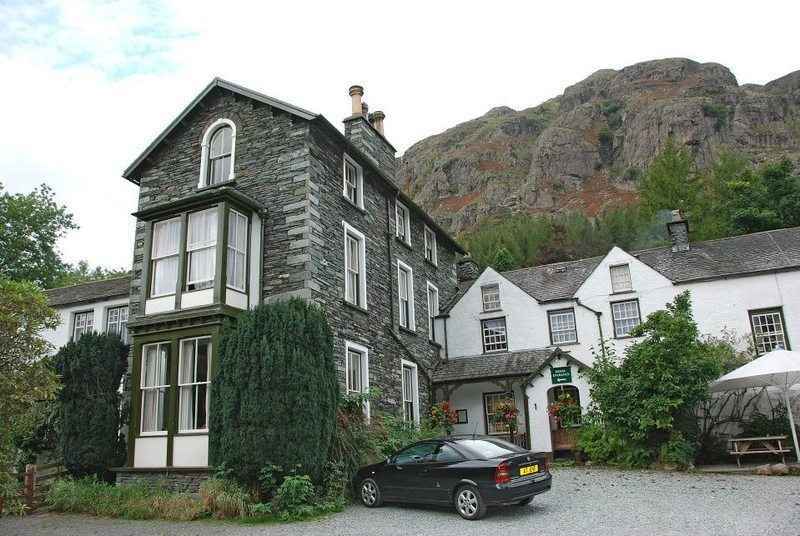 An unique Lake District hotel/pub located in the magnificent setting of the Great Langdale Valley, in the midst of some of the highest mountains in England. With twelve en-suite rooms, everyone different, yet retaining original features of antique and vintage décor. A choice of places to eat and drink include the comfortable and peaceful residents' lounge with an open log fire, the dining room serving good home-cooked food, within a friendly atmosphere and the homely Hiker's Bar, where a selection of real ales provides a just reward after a long ride, which always has a friendly, lively spirit about the place, often with live entertainment, in the form of occasional open music nights where anyone can get up and play! Enjoy riverside guest accommodation in a stunning location... This historic house has extensive gardens, riverside seating and is surrounded by stunning Lakeland scenery. The River Rothay flows through the grounds on its way from Rydal Water to Lake Windermere. On the A591, in the conservation village of Rydal, about halfway between Ambleside and Grasmere, close to Rydal Water, Rydal Mount - William Wordsworth's home and Wray Castle - Neo-gothic 1800's castle. Lots of enjoyable rides in the Lake District - to the village of Glenridding, Aira Force Waterfall, Ullswater Lake and Castlerigg Stone Circle. A licensed bar, snug lounge and The Garden Coffee Bar provides snacks, pastries and gateaux to enjoy with your favourite coffee. Seven comfortable rooms from standard double to luxury suite, many with delightful views over the gardens and river as well as the beautiful surrounding fells. Book direct through their website to get the best rates. Free Wi-Fi. Garaged and private parking.